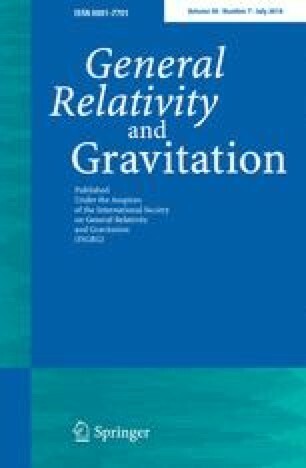 We describe an experimental technique for detecting extremely low-frequency pulses of gravitational radiation (νGW ∼ 1–10 mHz) originating from collapsing supermassive objects (M ∼ 106−107m⊙) occurring anywhere in the universe. Our technique is the natural outgrowth of a previous gravitational space mission. The novelty of our approach is in placing a highly stable hydrogen maser onboard a deep-space probe that controls a transmitter sending signals to earth. The spacecraft also includes a doppler transponder operating in the conventional two-way mode. Doppler tracking using simultaneously acquired one- and two-way information both on the spacecraft and at the earth station provides four time-records of frequency fluctuations. A single gravitational disturbance manifests itself as a uniquely determined pulse sequence in the two or more data sets whose amplitudes and arrival times depend on a single parameter. The repetition of the signal and the noises in the data can be used in a filtering scheme to improve the amplitude sensitivity by a factor of about 6 in amplitude (36 in energy). We believe the most likely of these gravitational pulse events occurring frequently enough to be detected (more than once per year) will come from the formation of black holes in the cores of ordinary spiral galaxies. We propose a technologically feasible and realistic space mission, using the above technique, to measure two aspects of gravitation with the same experimental equipment. The spaceflight begins in a highly eccentric earth orbit to measure the gravitational red shift and the second-order doppler effects to an accuracy of 5 parts in 106; at this level significant new tests of nonmetric theories of gravity are possible. Later, the spacecraft is sent into a heliocentric orbit to distances beyond 6 AU to search for gravitational radiation.